XUICE is a free crowfunding platform to connect backers to worthy social causes. 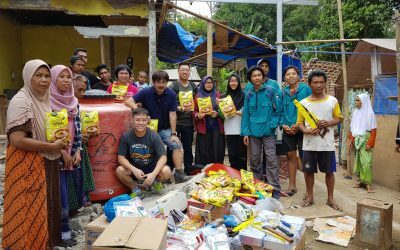 Be it a campaign to feed 100 children or a wish to make a social documentary, no endeavor is too small for us… as long as it is an attempt to help. Join XUICE today and make a difference. 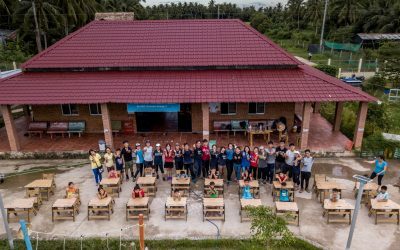 XUICE is a free crowdfunding platform to connect backers to worthy social causes. It is managed and designed by XTREME Media as part of their CSR programme. If you have a social cause that is looking for backers, do connect us for a review of your project. Join XUICE today and make a difference. 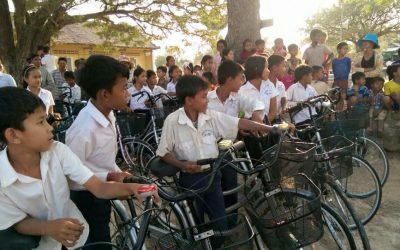 Support a bicycle and 10kg of rice to a family in need in Cambodia. 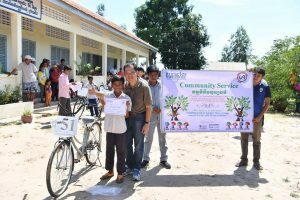 HOME CARE Program aims to provide basic sustenance to some of the most needy and sick families in Cambodia. 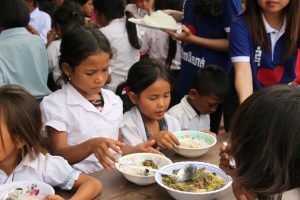 LUNCH FOR KIDS is a food aid program that aims to feed 200 children in Pursat, Cambodia for a year. We hope to provide food to these malnourished children and as a way to encourage them to stay in school. 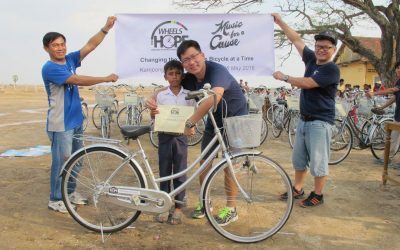 Wheels for HOPE is an initiative that brings bicycles to disadvantaged and impoverished rural communities in Cambodia. 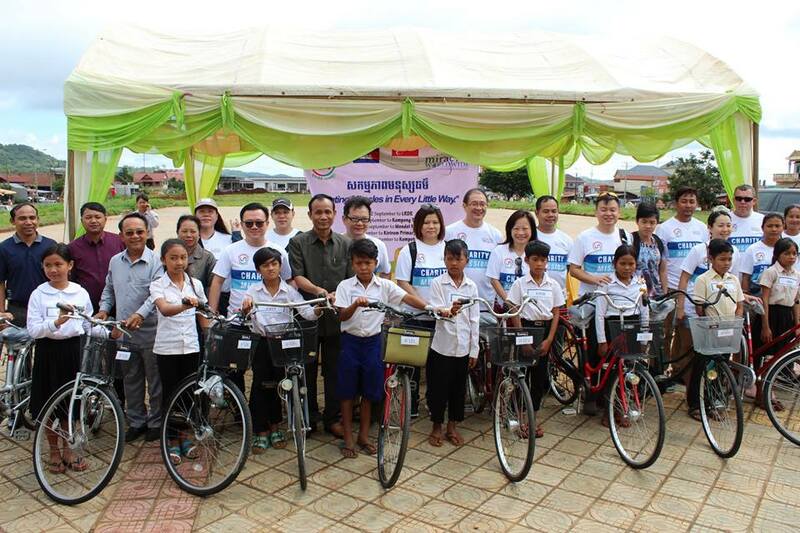 Working in close collaboration with Sihanouk Hospital Center of HOPE, the group has carried out 6 campaigns, providing over 1200 bicycles to rural communities over the past 5 years. 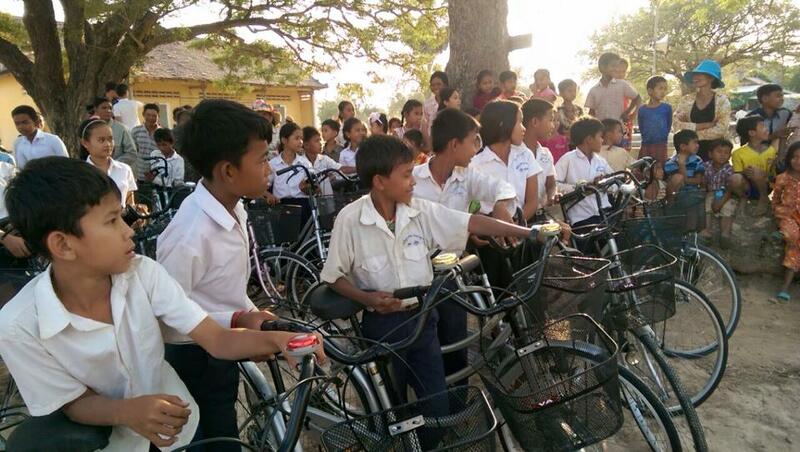 Donate a set of study table and chairs for the students at Sereymongkul Village School in Kompang Thom, Cambodia. Magical Light Foundation and Good Karma is organising a Relief Mission on 24th Aug 2018 to help the earthquake victims with medical assistance, basic relief necessities and food. 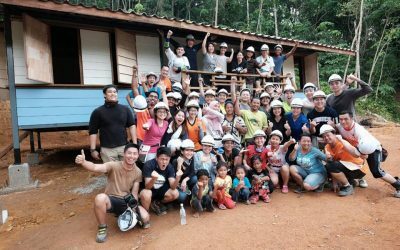 “Build a Home” is an initiative by a team of 30 volunteers comprising mainly architects, architectural designers and students to build a house for an indigenous family in Malaysia. 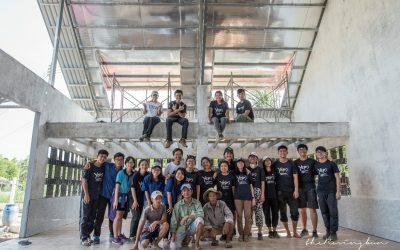 “Project Ignis” is an initiative by NUS Department of Architecture students who are designing & building an IT & STEM Learning Center for children in Phong Thanh, Vietnam. Salena and Sandeep lost their house and sister during the 2015 Nepal Earthquake. They are in danger of being destitute. 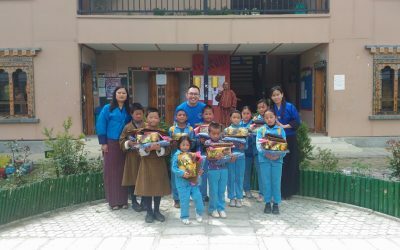 Please support the rebuilding of their lives by providing food and basic needs for the pair of young disaster victims. 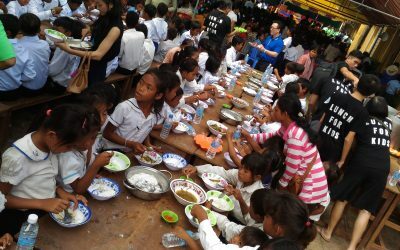 LUNCH FOR KIDS is a food aid program that aims to feed 200 children in Cambodia for a year. 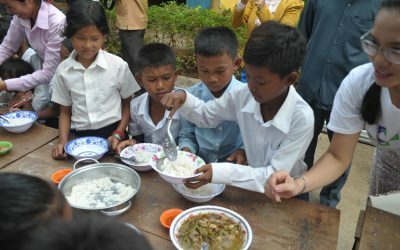 We hope to provide food to these malnourished children and as a way to encourage them to stay in school. 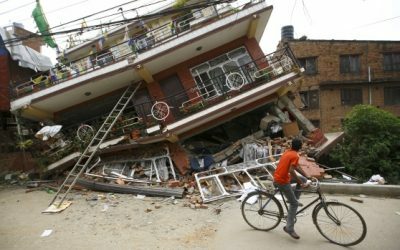 On 25 April 2015, an eathquake of 7.8Mw magnitude hit Kathmandu, Nepal. 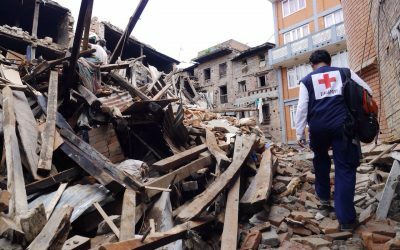 The disaster killed over 8,000 people and injured more than 21,000. 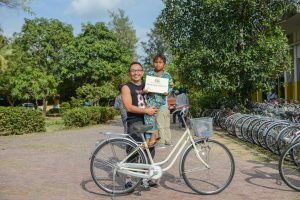 This incident began our quest to help and eventually became the motivation of XUICE. All payment will be processed separately via the secured payment gateway. We will not keep any card details on our site. XUICE is constantly growing its list of worthy causes for backers’ support. Subscribe to our XUICE newsletter and be informed of our latest campaigns as well as stay updated with ongoing projects of your interest. Join us and make a difference today !